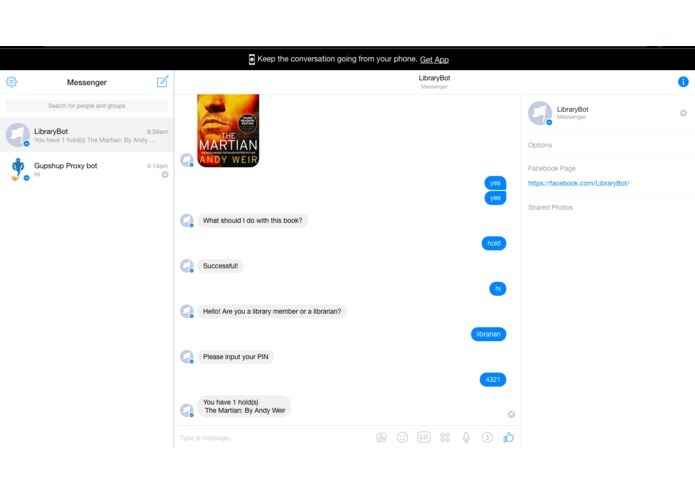 The system of going to a library, checking out books, returning books, and placing holds on old fashioned websites is too tedious, so we thought of a way to modernize and automate a library with a chat bot. The product, BookBot, lets users and librarians access the library from their phones and search for books, view holds, and more. Different messaging platforms behaved differently and handled images differently. We managed to create our own chat bot with natural language processing and give it a practical application in society. 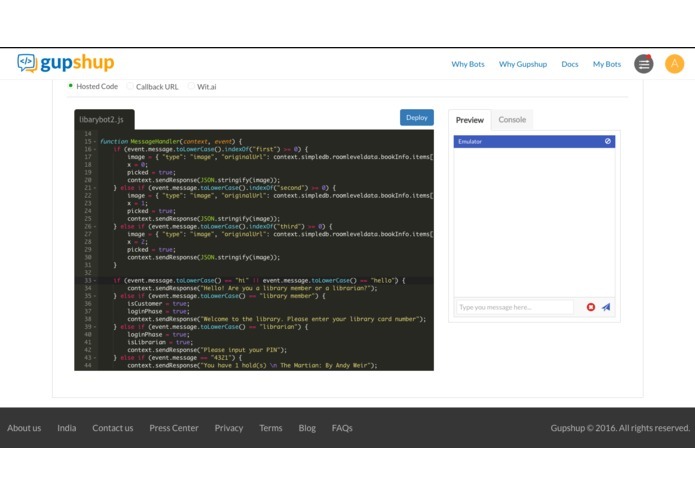 We learned the ins and outs of GupShup, especially how its database works. We also learned the algorithms behind NLP. We plan to integrate the 3m, the eBooks platform that libraries use today, into BookBot and perhaps make a virtual library with only bots.